Located at the Olympic Green, the stadium cost US$423 million. The design was awarded to a submission from the Swiss architecture firm Herzog & de Meuron in April 2003 after a bidding process that included 13 final submissions. 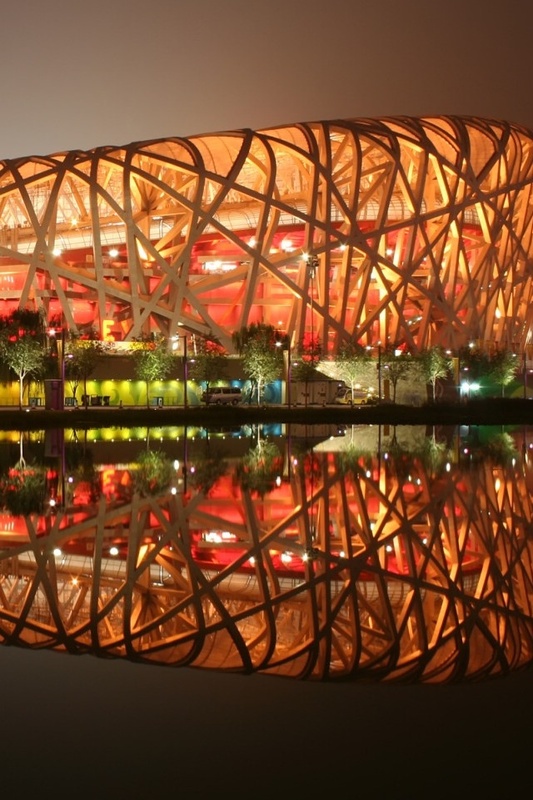 The design, which originated from the study of Chinese ceramics, implemented steel beams in order to hide supports for the retractable roof; giving the stadium the appearance of a bird's nest. Leading Chinese artist Ai Weiwei was the artistic consultant on the project. The retractable roof was later removed from the design after inspiring the stadium's most recognizable aspect. Ground was broken on 24 December 2003 and the stadium officially opened on 28 June 2008. A shopping mall and a hotel are planned to be constructed to increase use of the stadium, which has had trouble attracting events, football and otherwise, after the Olympics.